Secure online chart service onboard. 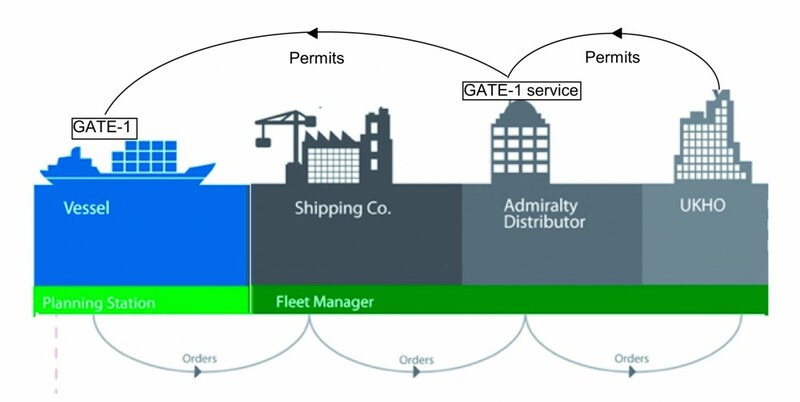 The Gate-1 provides up-to-date UKHO and Primar chart DVDs and permit files on board. It uses the ships communication system. It operates reliably in harsh conditions with low data transfer rates, unreliable communication links and long lag times. Low bandwidth usage. Tunable in 1kbytes/sec steps. Default is 3kbytes/ sec. 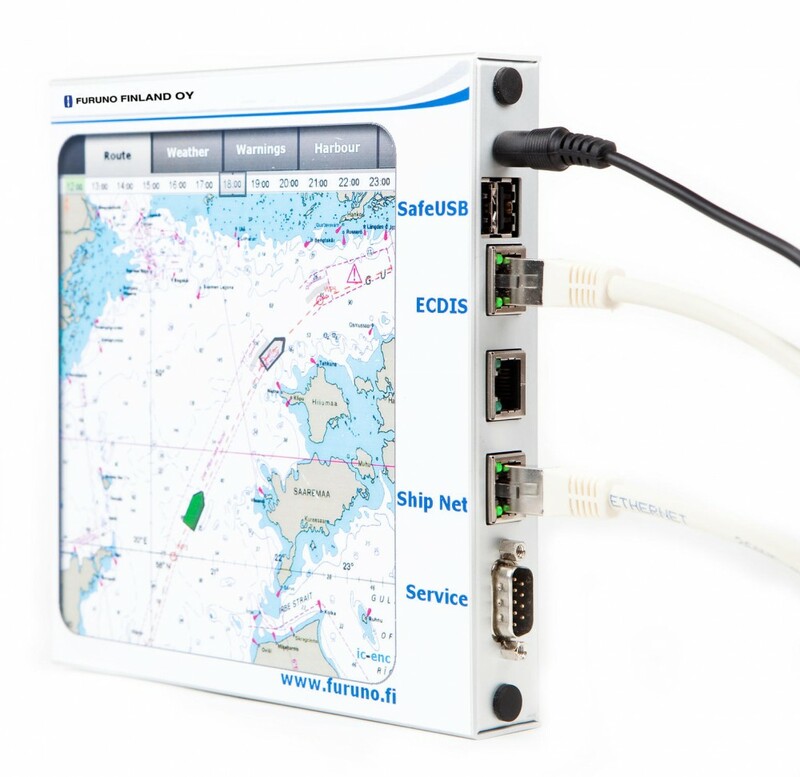 Secure environment for blocking viruses and other malware of entering the ECDIS network during chart updates. The Gate-1 System provides also flexibility to make various customized applications for customers. 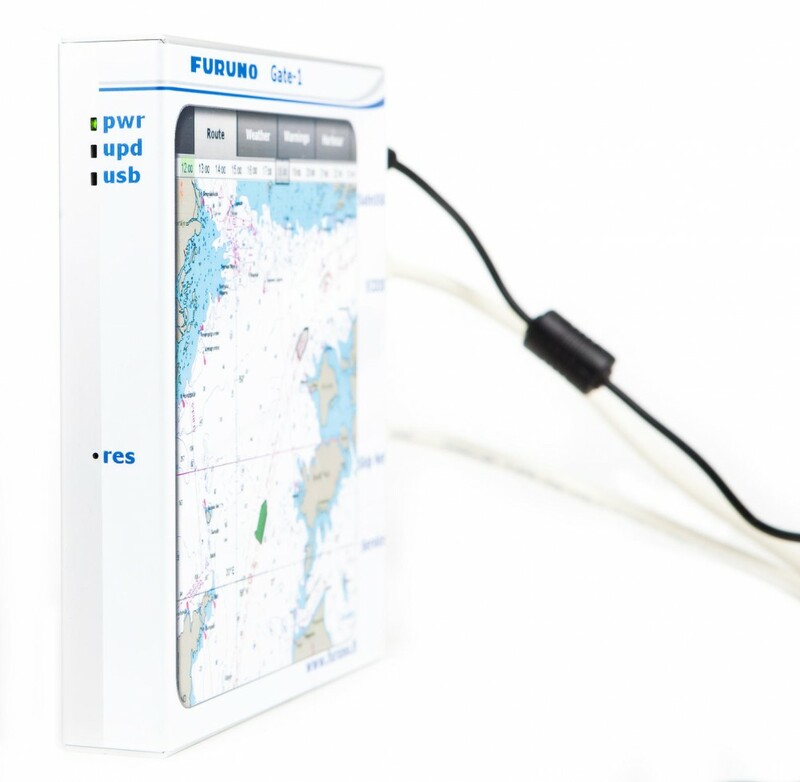 The application may be extended to pass other navigational information like routes and user charts to the ECDIS, without need to use virus-prone USB memory sticks or burning data on DVDs.